Working in pairs is a great way to create positive energy. The following activities are absolute gems. Not only are these great activities to break up your classes with an education break, but they also serve as other great resources for teachers and coaches. For coaches they are great to start off a session to get your players warm and ready. These are a fun way to finish off your session with a fun challenge that will boost self-esteem, team unity and confidence within the playing group. I will keep this blog short and sweet, here are my top 5 partner warm ups that are perfect for creating energy. I recommended playing each one for no longer then 30 seconds. That’s enough from me, have a read and enjoy the video demonstrations. If you have any other partner warm ups I would love to hear from you. Either contact me on this blog or on twitter @DaleSidebottom. Description: Students start in pairs and must stand facing their partner, holding hands and standing on one leg. On the count of three, one student will attempt to pull and push their partner off balance. When a student in the pair places their other foot on the ground they lose. Play the first to three points, and then swap partners. Description: The class needs to pair up. In their pairs they must grab their partner’s right hand and point their index finger out at their partner. The student’s left arm is extended behind them. On the count of three the students are to try and poke their partner with their index finger in the stomach. Play the first to three points, and then swap partners. Description: Students start by forming pairs. Each pair will start facing away from each other. On the count of three, turn around and try and stand on the opponent’s toes. The student who steps on toes first, wins. Once students play three games against their opponent, mix the pairs up. This way the students will get the chance to challenge other members in the class. Description: This game is best played outside in an open space. In pairs, students crouch down till they’re squatting, facing their partner, with their hands out and palms facing forward. When “Go” is called, students must bump over their partner, just using their hands as bumpers. Student to stay squatting wins. Try and match students with similar strengths. Once the pairs have had three games between them, let them choose another partner and battle again. Set a challenge for the class that if anyone is undefeated, they get to challenge the teacher. 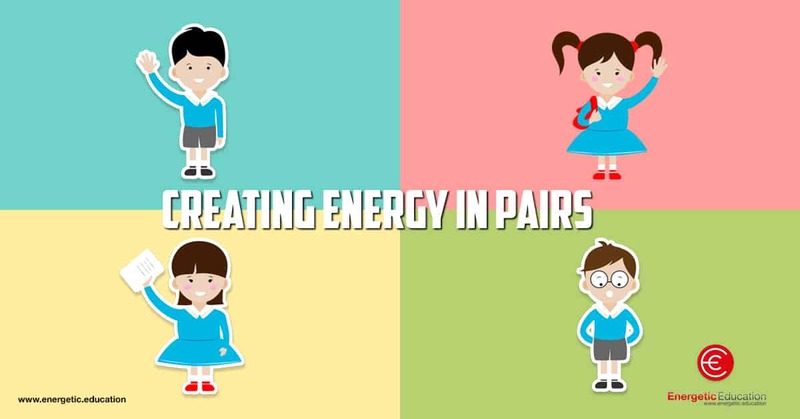 Description: Split the class up into pairs and get pairs to face each other. When the game starts each student attempts to touch one of the knees of their partner without being touched on the knee themselves. Play for thirty seconds then change partners and play again. If you use or have other partner activities like these please comment below and share with the group. Also if you would like to see toe touch, hoppo bumpo and knee tag in action, click HERE. Have a great day, Dale.